This author pulls together a plot and story line, with amazing alpha males and no non-sense females to make really great books. I love this series and can't wait for the next. Can Greer save Remi or will he be too late? 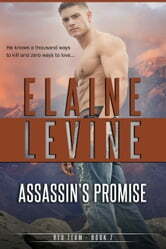 Elaine Levine - Assassin's Promise – Greer- Remi (Red Team Series - Book 5) (Approximately 12 weeks have lapsed since the Red Team started their investigation in Wyoming). Ms. Levine's writing style has her readers turning the pages to find out what will happen next. 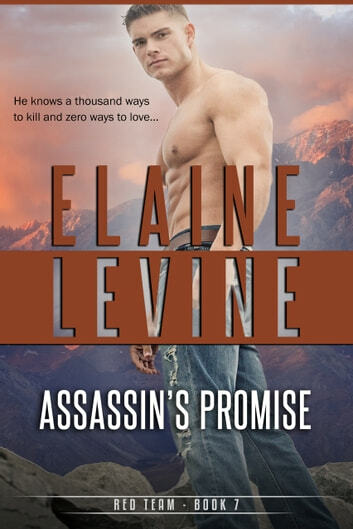 I typically only purchase Series, but, Ms. Levine's Series is set apart from the others from the perspective that her books set the stage with updates from where team members were in the last book. I love that since it can be months between books, so it helps me to recall quickly where we were and where we are going. In addition, no other author that I have read gives updates on each of the series characters, so we are updated on their status during the current installment. Since those of us that read lots of series, I am appreciative that Ms. Levine respects her readers enough to do this for us. This method seems to address all threads and leave none “hanging”. Book 5 stars Greer Dawson and Dr. Remington (Remi) Chase. The Red Team is made up of X-Special Ops guys working for Owen Tremaine, owner of the company. They are “consultants” to Homeland Security (DHS) tracking down local and international terrorists. Their tracking has taken them to Wyoming and many strings tie the White Kingdom Brotherhood (WBK) biker gang to various terrorist activities. Dr. Remi is the Assistant Professor of Sociology at the U of Wyoming. Remi has studied American cults for over 15 years. The Red Team consults with her about her current study of the local cult, ‘The Friendship a pacific group’. Quickly it becomes clear that the Brotherhood cult and WBK are working together somehow and young people are being used to test a bio-weapon of smallpox. As the book continues, you will be on the edge of your seat when the WKB and a man name KING go after Remi. Greer will protect her with his life if he must. He also knows that the entire Red Team always has his back and will be there for Remi and him. And, of course you will fan yourself with HOT FIREY passion with Greer and Remi as they explore love for the very first time. I highly recommend this installment and if you have not read the other 4 and the 3 wedding novellas, I suggest you give yourself a treat and buy them too. You deserve it. I truly love these series!!!! Lots of romance but also a great detailed plot that keeps you hooked!! !